There are three main types of bond risk in any performance or payment bond situation. First, there is the risk to the surety. Second, there is the risk to the Obligee. Finally, there is the risk to the Obligor. The bond risk to the surety comes in two parts. First, the surety is at risk if the Obligor is unable or unwilling to finish the terms of the underlying agreement pursuant to the contract terms therein. Thus, the performance bond can be called by the Obligee. The surety will have to review the bond claim and see if it is a valid claim. If so, the surety will either pay damages or hire another contractor to finish the job pursuant to the terms of the contract. Second, the surety is at risk if the Obligor does not pay all of its subcontractors or material vendors. This can happen if the Obligor determines that a subcontractor did not finish per the terms of the job, or if the Obligor is simply unable to pay the subcontractors or material vendors on a timely basis (i.e., a cash flow problem). 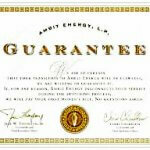 In either event, if the surety has to pay, it will look to the Obligor for repayment. That repayment risk is the bond risk. The bond risk to the Obligor is simple - it may have to pay its subcontractors more than once. For example, many Obligors hire a subcontractor, who then purchases the underlying materials or hires additional subcontractors. If the original subcontractor does not pay for the materials - even though they were paid by the Obligor - those subcontractors that weren't paid can call on the bond. So, the Obligor may have to pay them again (even though they already paid the subcontractor the first time). The bond risk to the Obligee is that the bond does not cover all that the Obligee believes was covered. In that case, the job will not be completed in a manner that the Obligee has counted on and the Obligee may be out of money. There is bond risk to all three parties in a performance and payment bond situation. The surety can be at risk of payment and then having to recover from the Obligor. The Obligor can be at risk by having to pay twice and the Obligee may not be covered by the bond in the way that they thought. Swiftbonds Contact Details: Main address: 4901 W. 136th Street #250 Leawood, KS 66224 Tel: (913) 214-8344, Fax: (855) 433-4192, E-mail: gary@swiftbonds.com Copyright Swiftbonds 2019. All rights reserved.